The feeling of being welcomed in a new city is priceless. And this is how I feel about having my first solo show in Toronto since I’ve arrived in Canada. 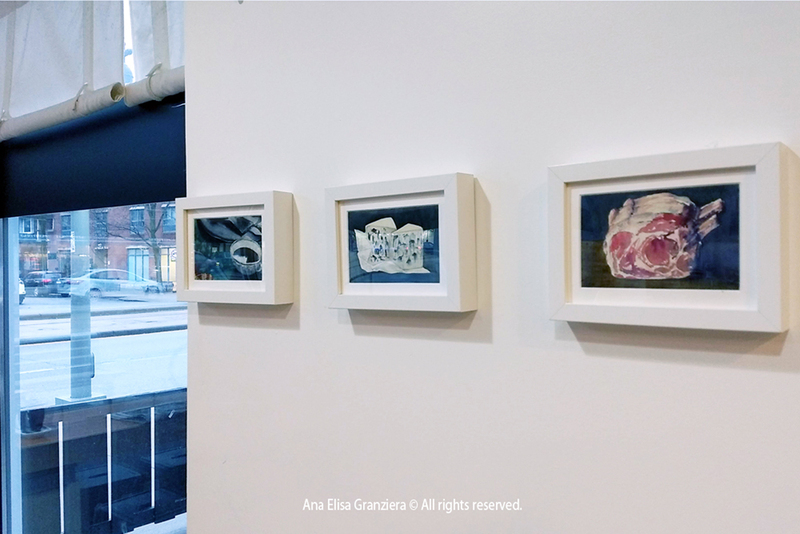 My Tiny Food series, finally finished, is being exhibited at Starving Artist Cafe, at 1078 St. Clair Avenue West, starting on January 8th and going on for six weeks. All the pieces are for sale on the spot. I can’t thank the guys from Starving Artist enough for this opportunity.